In today’s world of media overload, it is easy to blow off history and the still photography that often illustrates it. Looking forward, people can forget the magical things that happened in the past, and how they actually enlighten the future. The Virginia Historical Society – next door to VMFA on Boulevard – is a brilliant establishment, filling every room with interesting and unusual artifacts and imagery every day of the year. 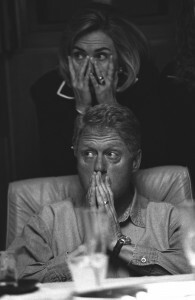 Now through July 8, National Geographic’s The President’s Photographer: 50 Years Inside the Oval Office is a temporary exhibit at Virginia Historical Society, displaying decades of presidential memories. A position I did not even know existed – each President of the United States has a team that includes a photographer to document every moment – public and private. From thousands of somewhat generic greeting shots to intense and personal moments, the head photographer sees and records it all. This exhibit also includes a very interesting film, which plays in the same room, detailing the everyday movements of the current presidential photographer, Pete Souza. Souza, who also served as a staff photographer for President Reagan, takes viewers into his life, exploring his job through a camera and his connection to the President on a personal level. The documentary, which runs about fifty minutes, also explores the Presidents’ photographers before Souza, highlighting the most moving images of their careers. Watching this film, we learned interesting tidbits about past Presidents. My mother wasn’t surprised to hear that Nixon, for example, has the fewest photographs of any administration represented in the White House archive. Photography is moving, emotional, and it captures events that are powerful. It offers an inside look at the subject, a key to unlocking the mystery of that person. 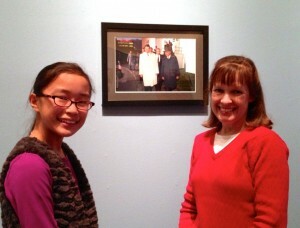 And this exhibit allows the public to see these pictures, selected from millions. Only the most significant are featured here. This exhibit is easy to take in and interesting. Perfect for kids nine and up (if they’re history buffs who can focus), it also promotes conversation in families across generations. Does Grandma remember Kennedy’s assassination? Was the child even born before 9/11? What happened when President Nixon resigned? As a student who spends a lot of time researching and reading online for school, I have to say that viewing these photographs framed on the wall of a museum was so much more enriching than sitting in front of a computer screen. Forgetting the inspiring events that happened (and are still happening now, even as you read this) is a shame. 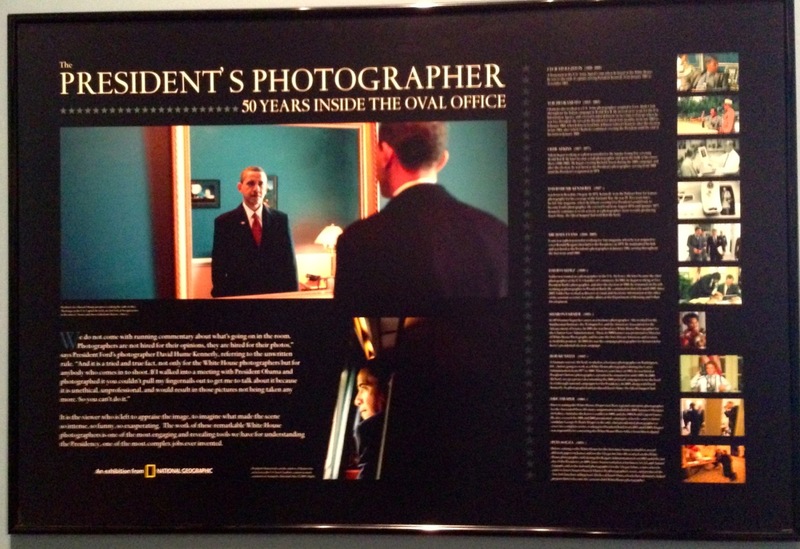 So gather your children – and your parents – and check out National Geographic’s The President’s Photographer: 50 Years Inside the Oval Office, through July 8. Admission is free at Virginia Historical Society. are listening to a briefing on board Air Force One. Previous articleBusytown is Whimsical, Wonderful – A Family Gem!